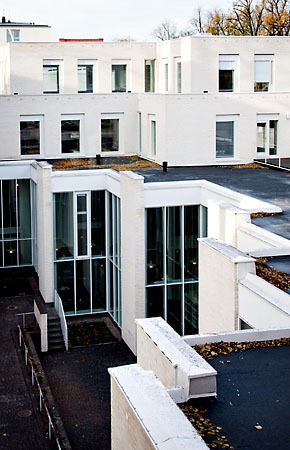 The research profile of the Swedish School of Social Science combines topics such as Nordic welfare and ethnic relations with innovative, multidisciplinary approaches. The research profile responds to the new challenges of the Nordic welfare model by combining expertise from the many research areas of the School to form a stimulating environment for research and teaching. The School’s research is primarily carried out in five thematic networks which link expertise from the School’s various fields. The six fields – journalism, legal studies, social work and social policy, sociology, social psychology and political science and administration – form the basis of the research conducted in the networks. The networks are Ethnic relations, Migration and Belonging; Welfare, Values and Interventions; Journalism, Communication and Participation; Group Relations, Gender and Identity, and Democracy, Political Participation and Institutional Change.